The Dutch are known for a lot of amazing things, yet when it comes to two-wheels everyone thinks of their booming bicycling community. Back in the 30’s the Dutch had a different two wheeled machine, that is none other than the Nimbus motorcycle. 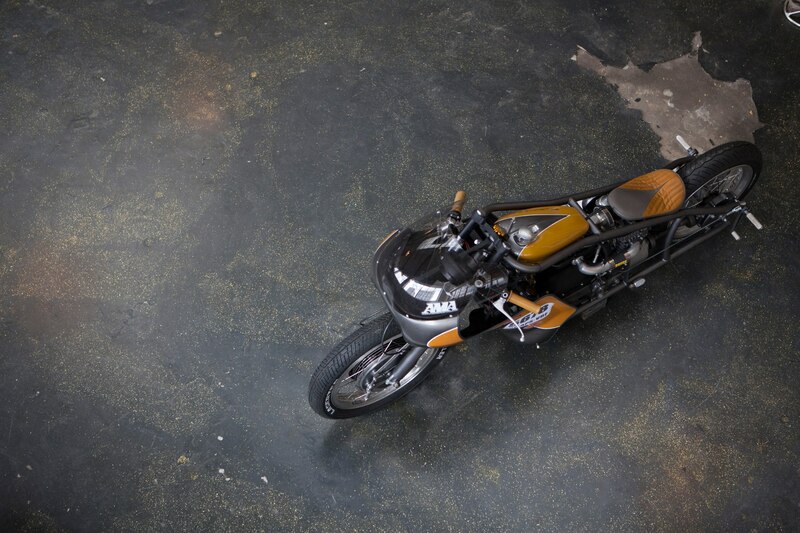 The Nimbus is a long forgotten motorcycle brand, at least here in the states. At one point in time it was a massive success, flourishing to the point of 12,000 Type C’s being produced. More than 50 years after their doors have closed there are still 8,000 of these magnificent machines roaming around, with half of that still registered in Denmark. The Nimbus was overbuilt for its day, promoting a long lasting platform. 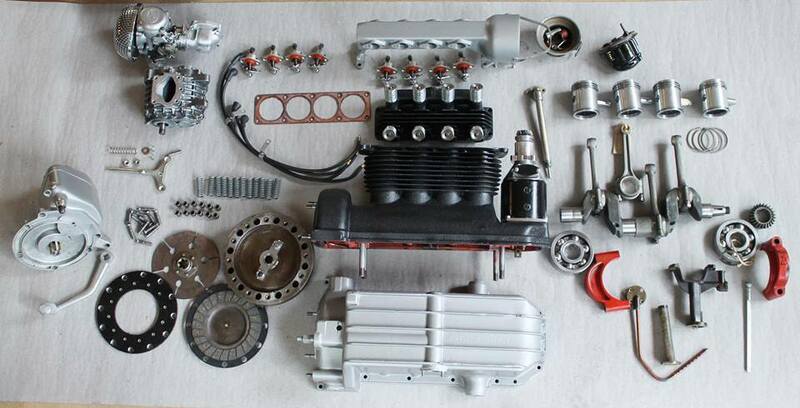 They utilized a 746cc inline 4 cylinder for both models offered, but chose to mount it longitudinal instead of horizontal. This gave the Nimbus that distinct look that has set it apart for almost 100 years. It wasn’t perfect though. Being designed in the 30’s means outdated technology, even by its demise in the 60’s. I mean, at its best the 4-cylinder was only capable of putting out 22 horsepower, with a top speed of just 75mph. And even if it were capable of going any faster, the riveted frame and drum brakes would have surely made any trip up to that kind of speeds your last. So, it was destined to become a relic. Yet in Denmark, it is not uncommon to see someone willing to still cruise around on their timeless looking Nimbus. 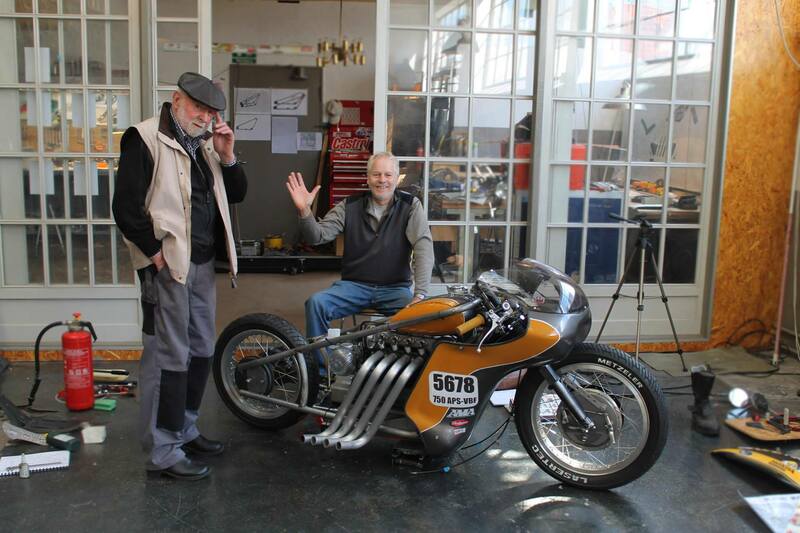 But even crazier is taking this bike as your platform to try and set a land speed record. Yet that is exactly what Lars Nielsen set out to do. 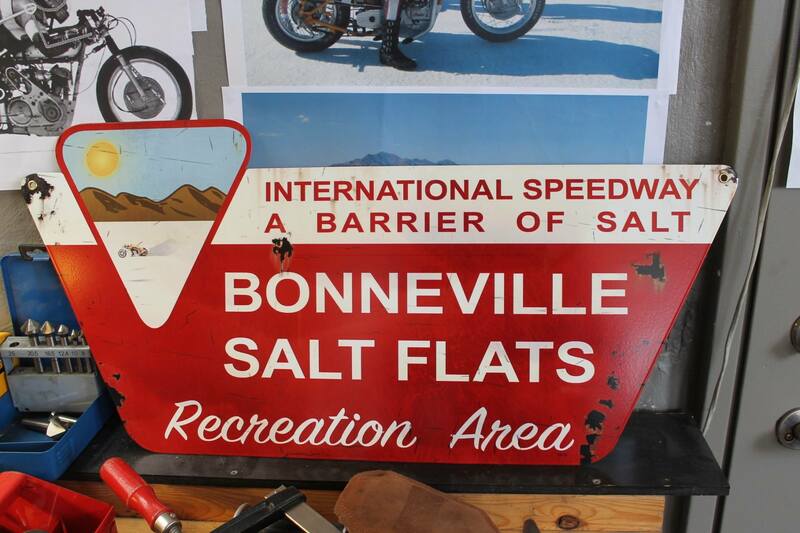 It deserves mention that these salt flat land speed racers are out of their minds. I’ve never seen a group of people work so hard to make something so slow go, well, a little less slow. It’s endearing, but also entirely crazy. Lars Nielsen is a local resident of Copenhagen, Denmark. 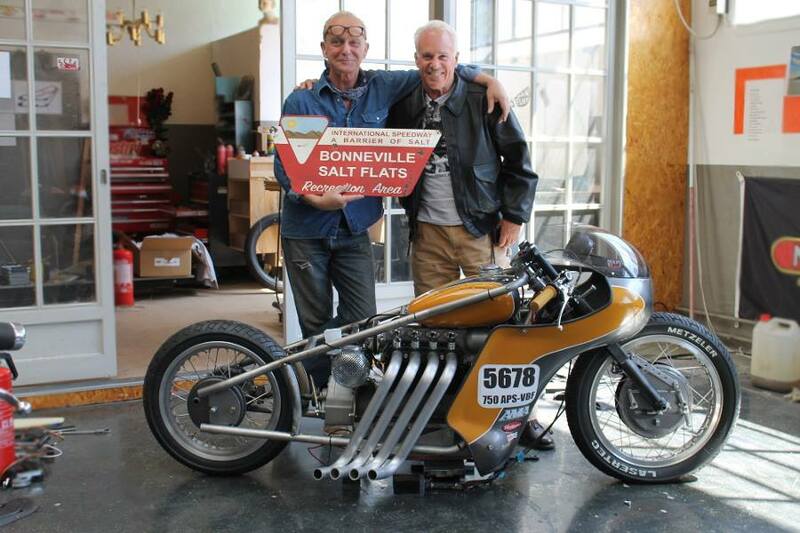 With his passion for the Bonneville Salt Flats, and some hometown pride in the Nimbus design, the project was set. From there it was time to start designing. Now Lars originally planned on using the Nimbus frame and all from a Type-C. That plan was in place for only a short period of time as he noticed the extent of modifications it would truly need to fit his vision. Being the fact that the frame is made from spring-steel it wasn’t going to be just difficult, it was physically impossible. Being of the land speed racer mindset, this wouldn’t affect the forward progress. Not in the slightest. Lars had an interesting thought process while doing his test mockups. 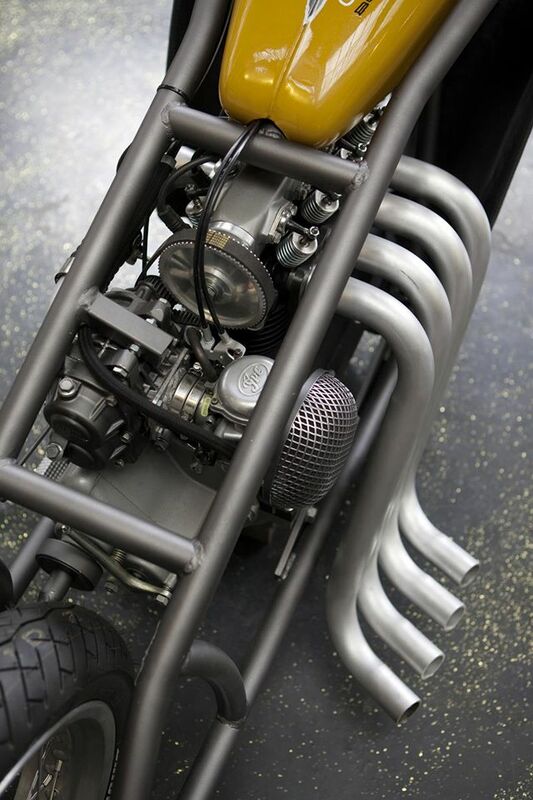 In his build thread he posted saying, “and thought to myself; I have always had a dream of making my own motorcycle-frame, (and filed it under ‘Impossible Dreams’) and even if I have never ever so much as bent a single pipe/tube in my entire life, and never seriously welded two pieces of steel-tubing together….if I ever should do a frame, this is IT… a motorcycle-frame doesn’t come much simpler that this one. So back to the drawing board for some more drafts, now with the freedom to change things around as I bloody well pleased.” That is called perseverance ladies and gentleman. That is exactly what Lars did. Well kind of. He’s crazy, but not suicidal. He elected to design the frame with a friend of his, and once finished he had a local CNC machine shop assemble the frame on his behalf. With the frame done he could continue to mock up what he was now calling Odin’s Fury. 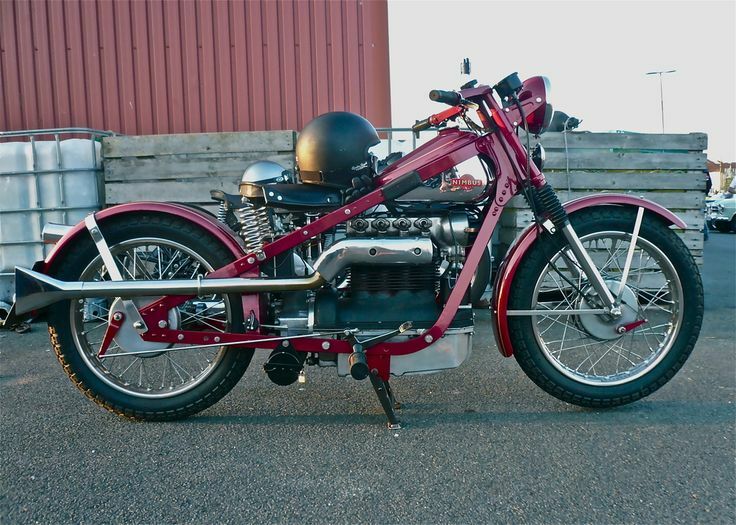 He ditched the factory Nimbus tank in favor of one from an old Danish moped, keeping it in the family. 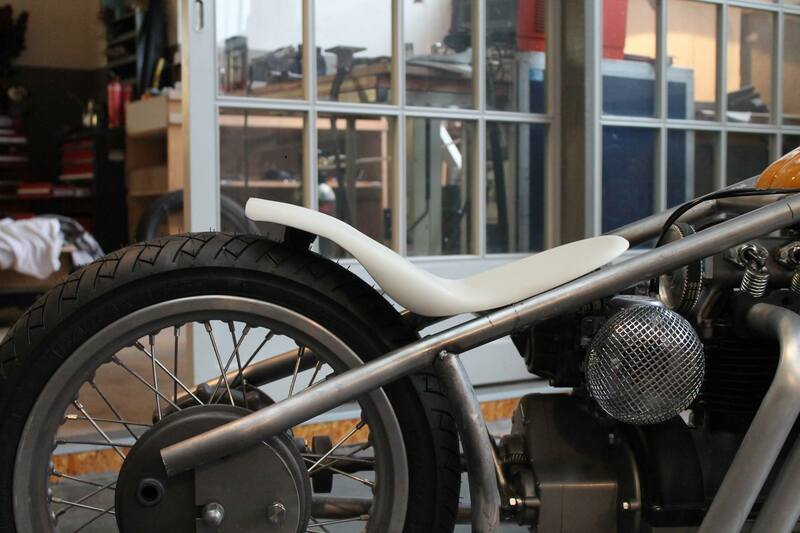 He also sourced an old Danish built fairing, just to finish off the exterior. The real gem of this entire project has to be the engine. The 746cc inline is a great little powerplant, if you aren’t expecting much power that is. Yet that was what Lars was looking to change, and he decided the best way to do so would be utilizing a supercharger. Yup, I told you that he’s crazy. Apparently he sourced the Supercharger from a Subaru something or another, as well as a handful of other parts he had laying around the shop. A good portion of Odin’s Fury is made from parts sourced out of his own collection. From there Lars spent a good portion of his time getting the engine and supercharger combo to fit inside the frame properly. With a project like Odin’s Fury the process becomes a repetitive cycle of trial and error. 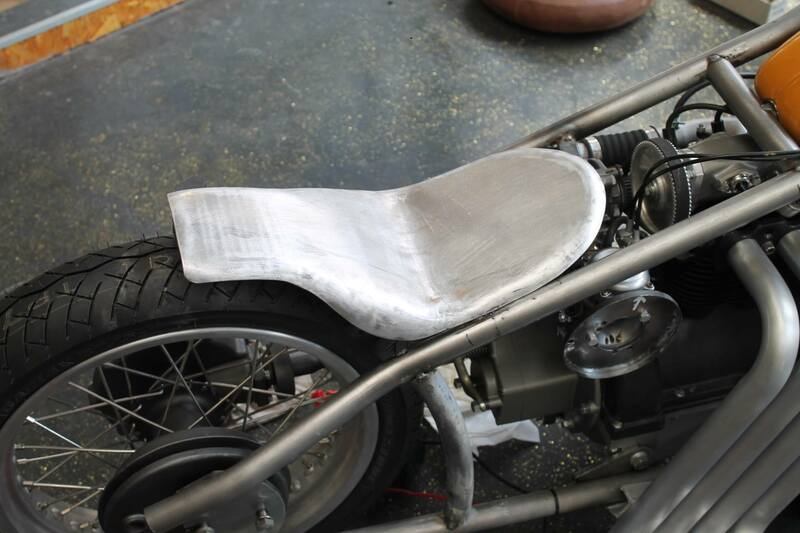 Once the engine was in place the project really started to come together. The exhaust was next. Lars used the best rule of thumb, “make it as short, nonrestrictive and big-diameter as possible.” And that is exactly what he did. 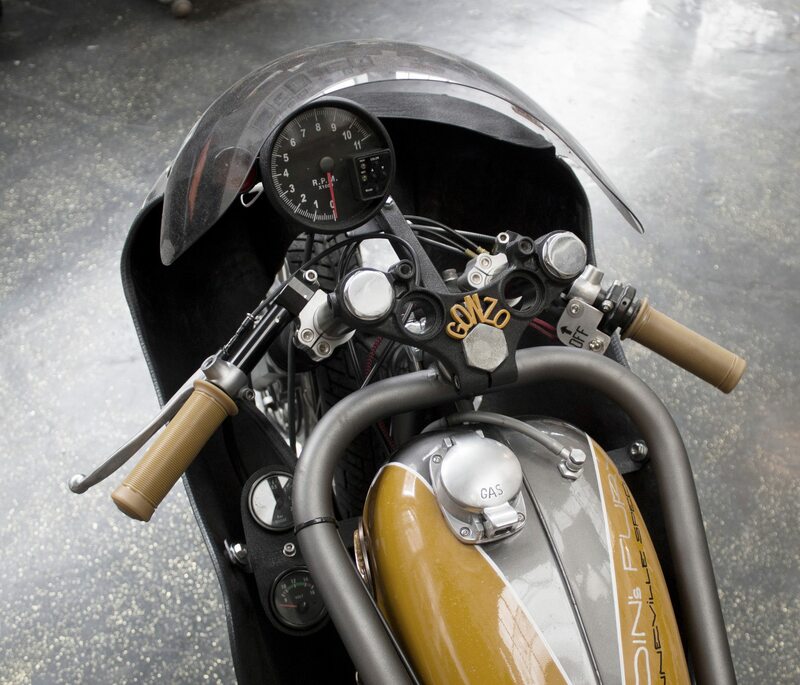 With short swept pipes, Odin’s Fury’s transformation has become drastic from its humble beginnings as a reliable commuter bike to a full blown racing machine. But like any garage build, when you think you are almost finished you are really only half way there. First, Lars found a fully rebuilt Type-C engine for a steal of a price. Unfortunately he wasn’t happy with what he found inside. So Lars decided to rebuild the engine yet again, this time using new-old-stock parts. going through and meticulously balancing the engine Lars ended up with a real runner. The final product is a machine that is equal parts home brew and beauty. 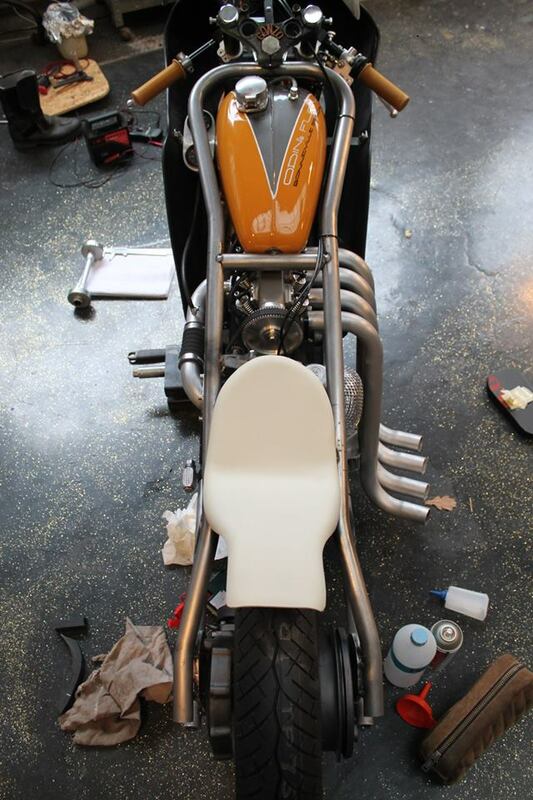 The frame protrudes out and around the gas tank. 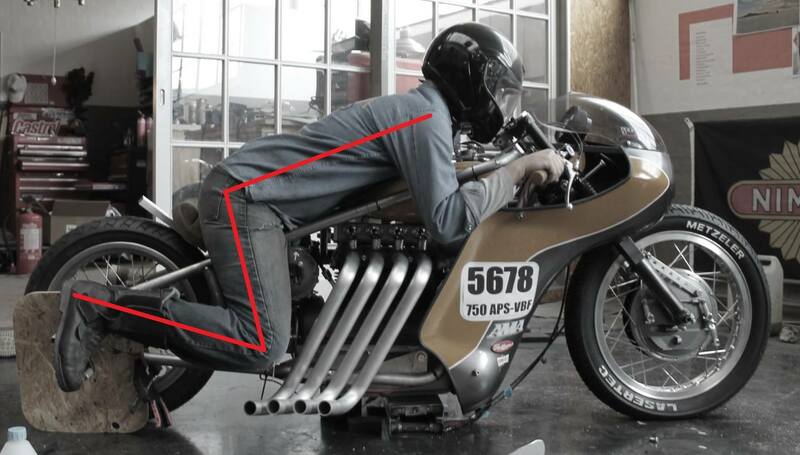 This has allowed Lars to mount it lower, giving Odin’s Fury a better aero profile for racing on the salt. The one-sided set of 4 exhaust pipes combined with the low slung bubble bodywork would lead you to believe this would be one of the faster machines to run at the flats. 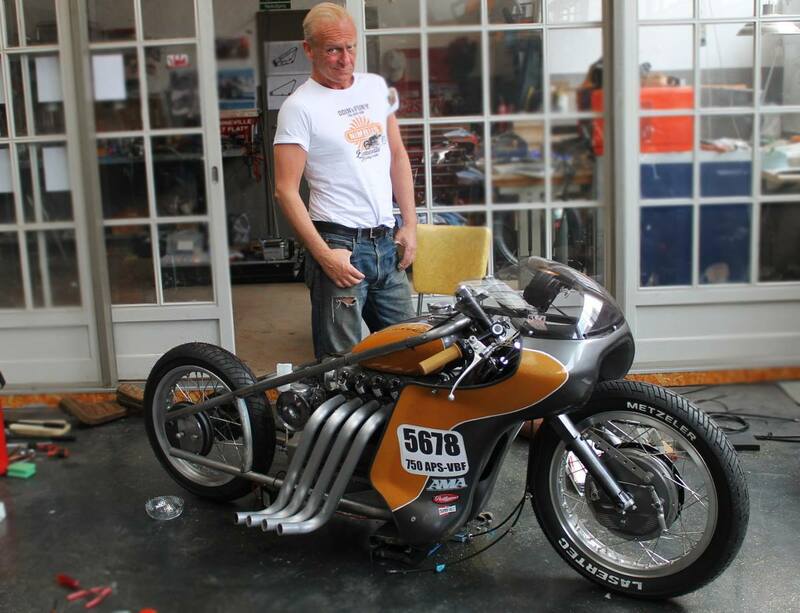 That of course is not the case, but Lars is hoping that some day it will win him the crown of ‘world’s fastest Nimbus.’ While that hasn’t happened yet, we can say without a doubt that this is the best looking Nimbus land speed racer we have ever seen.